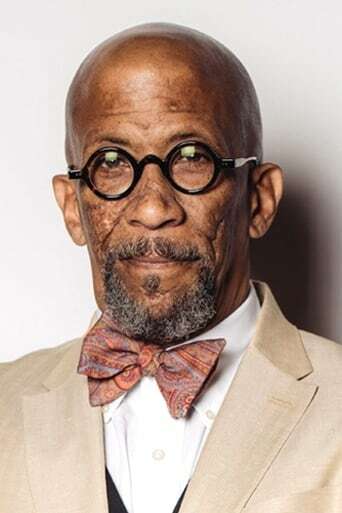 From Wikipedia, the free encyclopedia Reginald "Reg" E. Cathey (born August 18, 1958) is an American stage, film and television actor. Cathey is a native of Huntsville, Alabama and a graduate of J.O. Johnson High School. He spent his childhood in Germany. One of his earliest roles was starring in the children's television show Square One. He later had guest roles in episodes of shows such as Star Trek: The Next Generation and Homicide: Life on the Street. He played the villain Dirty Dee in the cult comedy film Pootie Tang. He had a regular role on the HBO series The Wire as Norman Wilson during the fourth and fifth seasons. He also worked with The Wire creator David Simon on the Emmy award-winning mini-series The Corner; Cathey played a drug addict known as Scalio. He had a recurring role on the HBO prison drama Oz as unit manager Martin Querns. In the film Tank Girl he played the role of Deetee. He narrated Aftermath: Population Zero, a National Geographic Channel special which imagines what Earth might be like if humanity no longer existed. He played the homeless man "Al" murdered by Patrick Bateman in the film American Psycho. He narrated TLC's Wonder's of Weather In 2009, Cathey performed in The People Speak, a documentary feature film that uses dramatic and musical performances of the letters, diaries, and speeches of everyday Americans, based on historian Howard Zinn's A People's History of the United States. Since September 2009, Cathey has played the role of Ellis Boyd "Red" Redding in a theatrical production of The Shawshank Redemption at Wyndham's Theatre, London. He also currently plays Barry K. Word, a boxing promoter, on FX's new show Lights Out. Description above from the Wikipedia article Reg E. Cathey, licensed under CC-BY-SA, full list of contributors on Wikipedia.